Hey guys! Today we're gonna talk about 2 restaurants that are a member of Boga Group; Bakerzin and Paradise Dynasty. Why Boga Group you might ask? Well cause they're holding a very interesting contest! The first restaurant is Bakerzin. 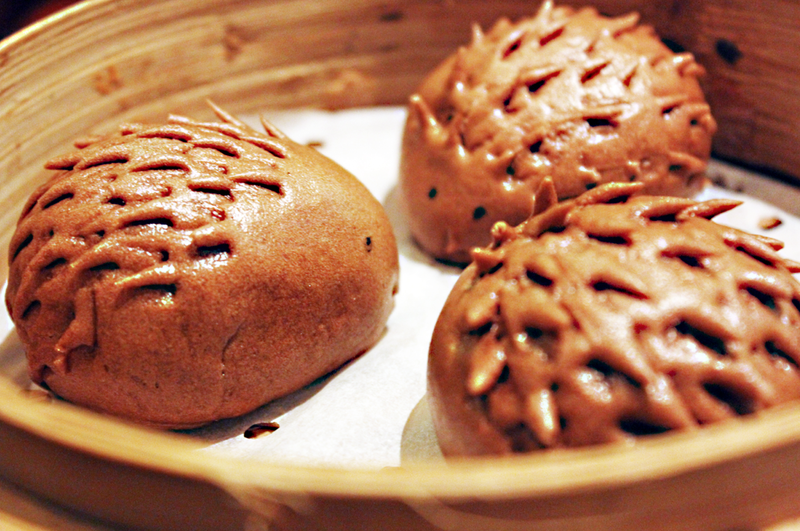 As most of you might already now, Bakerzin is a dessert cafe that has been popular among society. They have many outlets all over Jakarta and one of them is at Central Park which we visited last month actually. When we arrived, the place was full packed with customers, it was almost a full house! This just shows how much society loves this place. 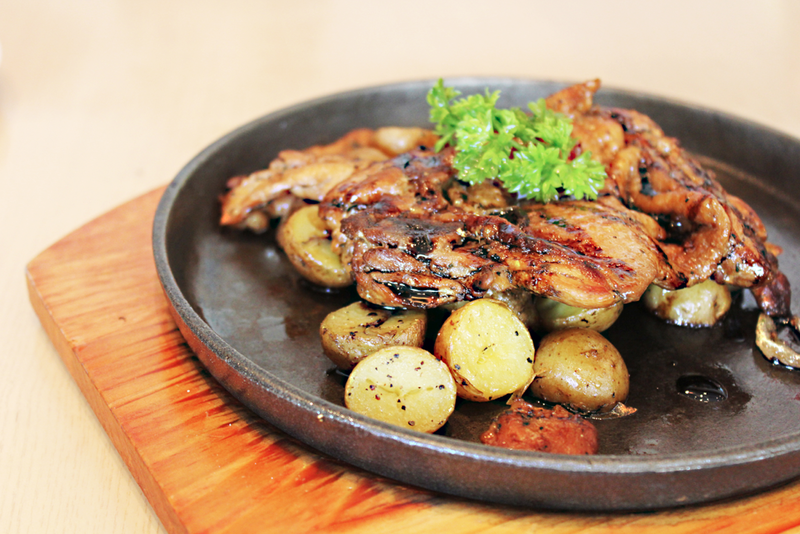 Grilled chicken in garlic butter and olive oil seasoning, served with sautéed baby potatoes. You know when you're looking at a menu and they have these pretty pictures of the food which sometimes is way different than the reality? Well, this won't disappoint you like that, cause it almost came out exactly as the photo on the menu. The taste is also good, the chicken is tender and the sauce is not too salty or too bland. I like potatoes and I think that the ones here did not let me down. 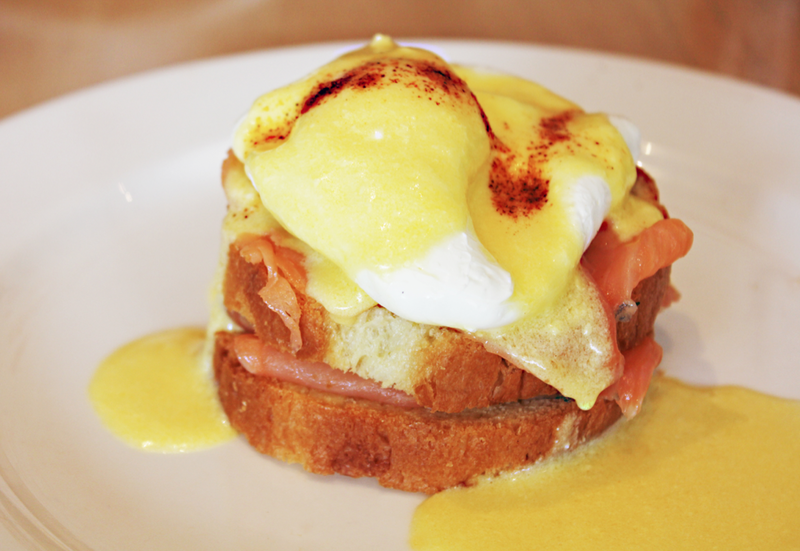 Scrumptious smoked salmon brioche with poached egg on top and served with tangy Hollandaise sauce. 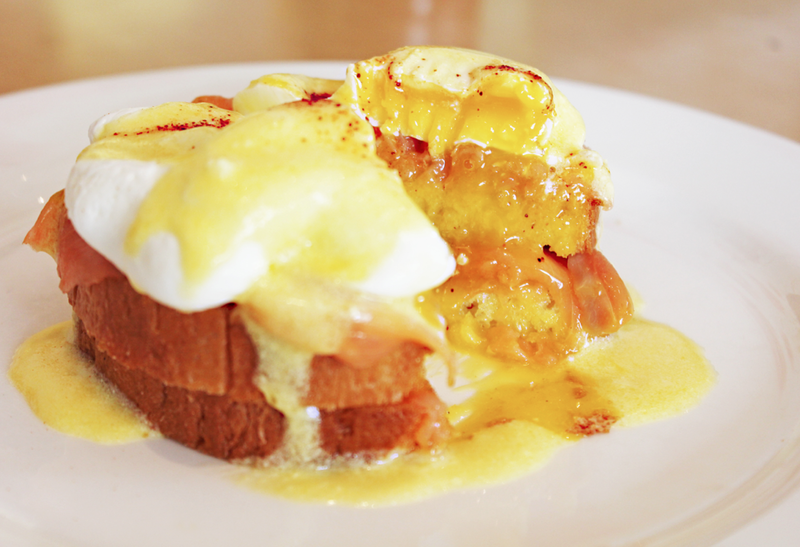 I have always wanted to try a Benedict and I love salmon, so this combination really intrigues me. I think it was good, though they were a bit too generous on the Hollandaise and the egg are still creamy so it really makes one messy plate but delicious. I don't recommend this to those who doesn't like still-creamy yolks, but maybe if you asked for a well done eggs, they might work it out. This was actually a valentine menu, so it's only available until February. 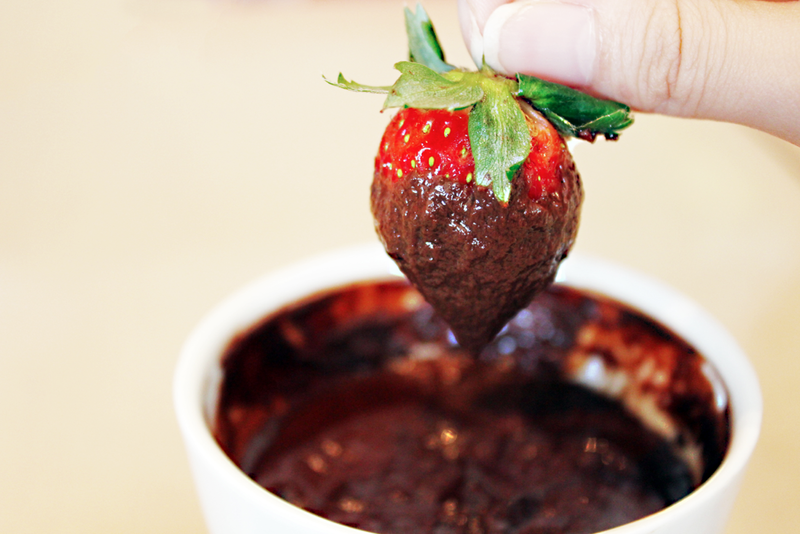 These are a combination of some small treats that are ready to be dipped in the chocolatey goodness! The chocolate was a bit thick so when you dip into it, it really sticks to your treats which I think is better than the liquid ones. The next one is Paradise Dynasty. 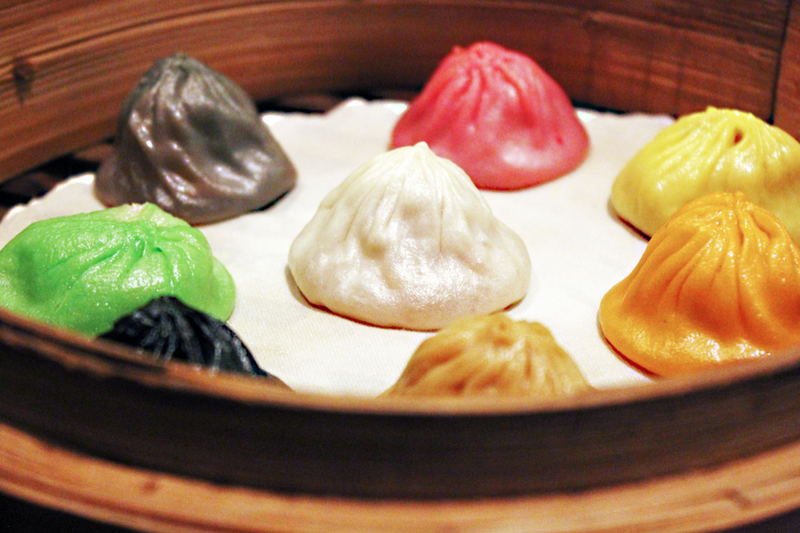 Now this is the first Chinese restaurant ever reviewed here which also won the Readers Choice Award as Best Chinese Restaurant 2013! I don't know why but I feel a bit proud of it. The award wasn't lying though cause the food here is extremely delicious. 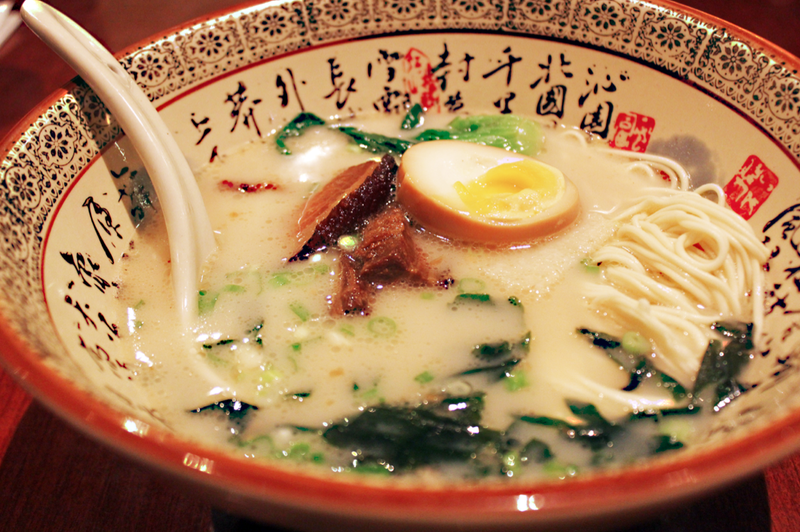 Paradise Dynasty also has 2 outlets in Jakarta; Central Park and Plaza Senayan, the one that we went to. Sometimes the fact that they are a Paradise group, which consists of Taste Paradise, Canton Paradise, Paradise Dynasty, and Paradise Inn confuses people. So no, they're not the the same, they have different concepts. Perfect blending of vegetables and meat! The trace of sweetness of the french bean and the saltiness of the pork really balances each other nicely. 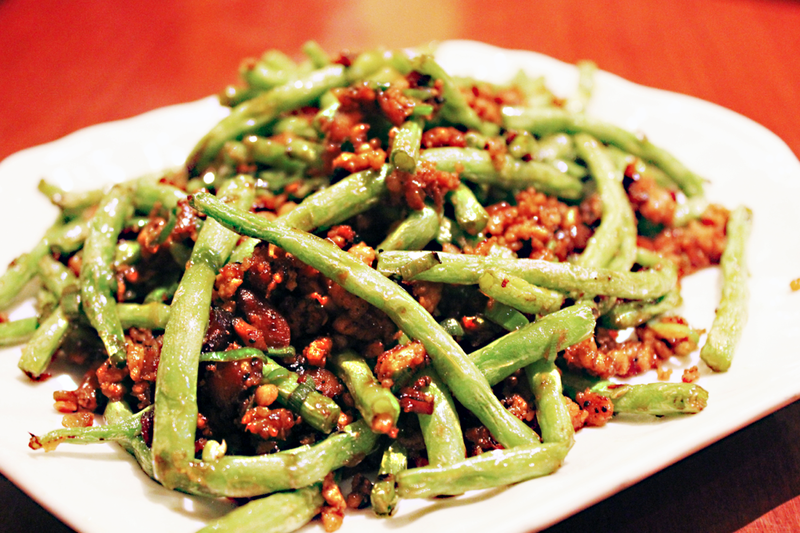 It's a perfect vegetable to accompany your Chinese dinner or lunch or even breakfast. 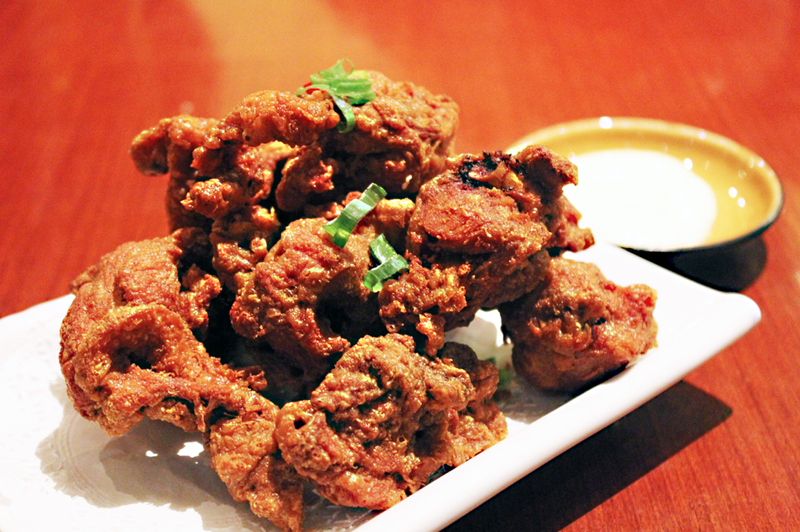 To you fried chicken lovers, this should really be on your list! The portion might be a bit small but the taste is very satisfying. 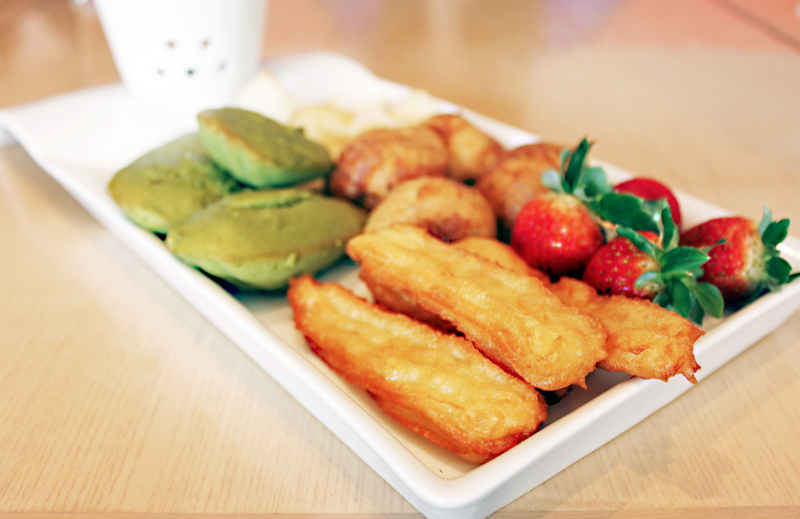 It's not too oily even though it's deep-fried which I think can be considered healthier. 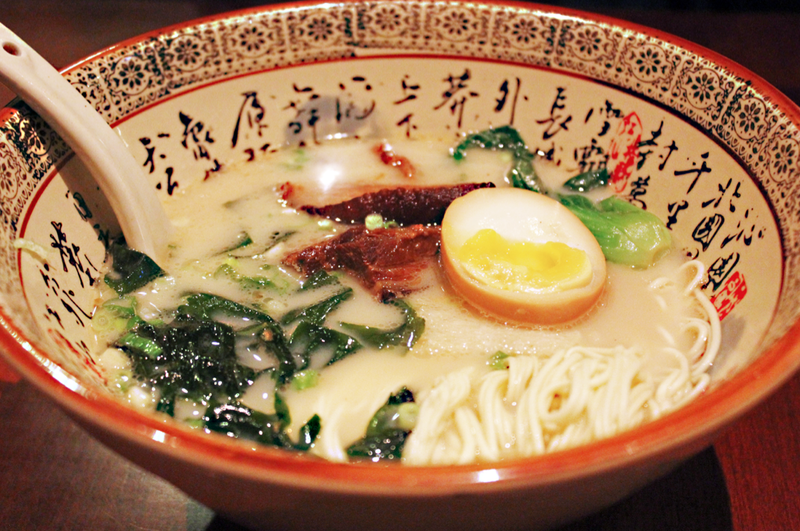 This is a really unique dish that I've been wanting to try! There's a way on how to eat it which you can read on the menu. 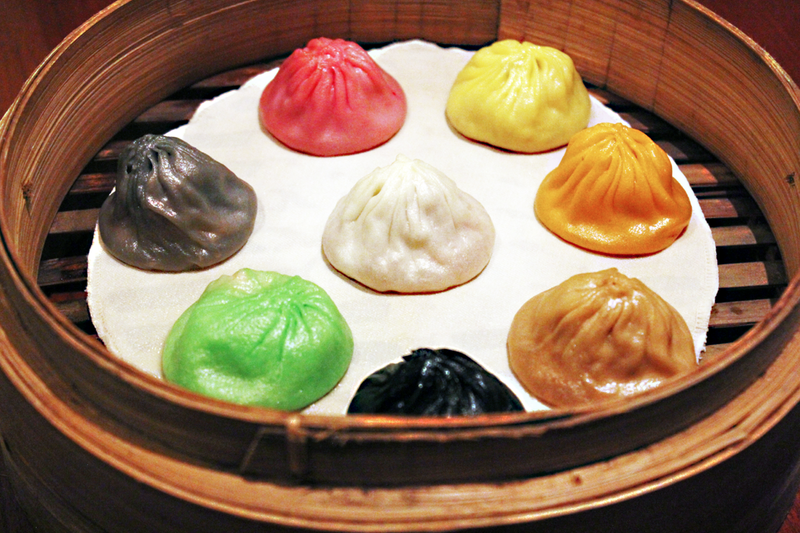 The 8 flavors consists of; white - Original, brown - Foie Grass, black - Black Truffle, orange - Crab Roe, green - Ginseng, yellow - Cheesy, grey - Garlic, pink - Szehuan (it's also written in the menu). My favorite was the original one. 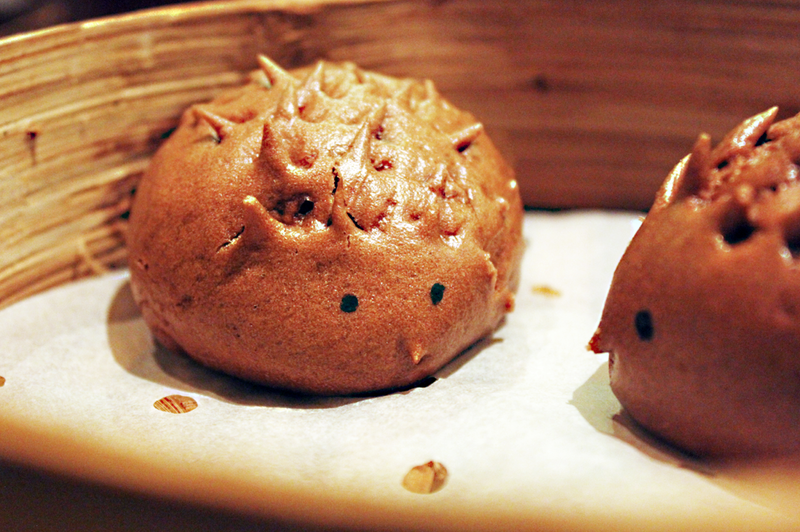 Isn't this just the cutest bun you'll ever eat? It's almost heartbreaking to eat it, but after tasting it, you wouldn't want to waste not eating it just because it's cute. 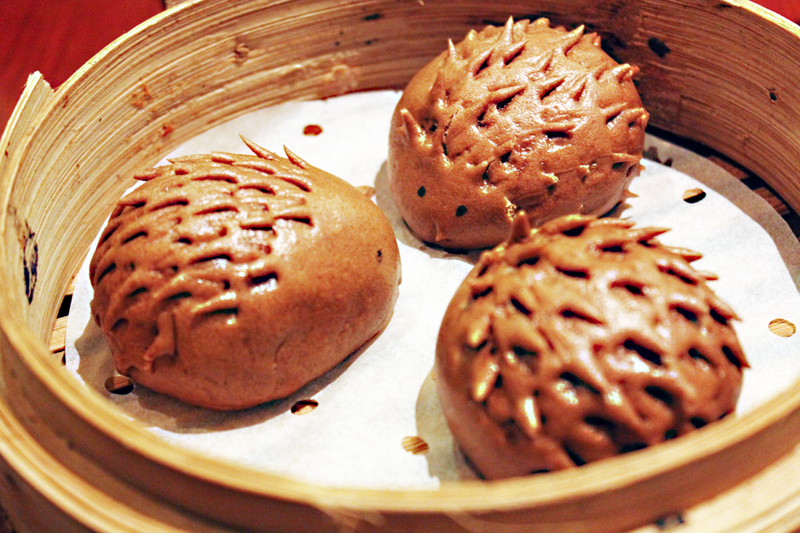 It's filled with chocolate and red bean. It's not too sweet and soft, so yummy. This is a must try dessert yet I do feel that it's a bit too pricey. 3. The best selfie and creative caption will win awesome prizes! 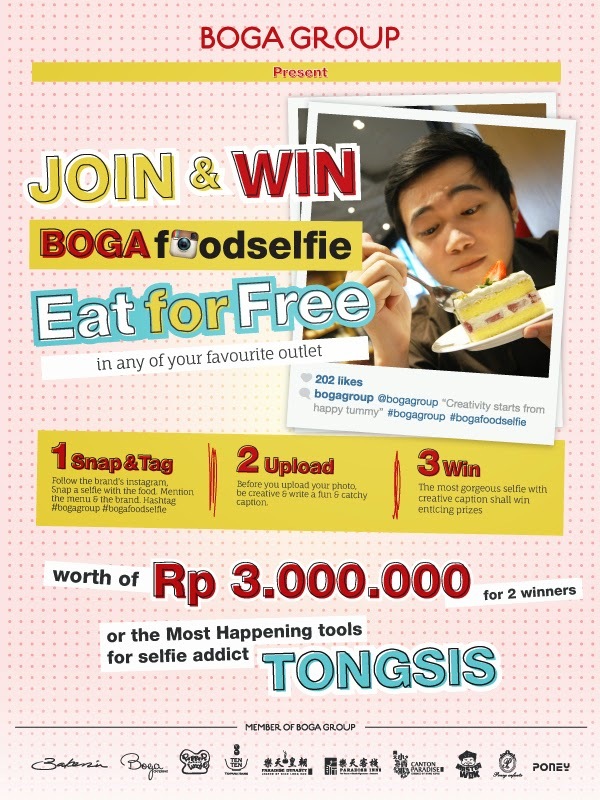 2 top winners will get a total of IDR 3 million and there's also 10 Tongsis for other lucky winners! Easy right? This contest will end on the 31st of March 2014, so what are you waiting for?? Join now!